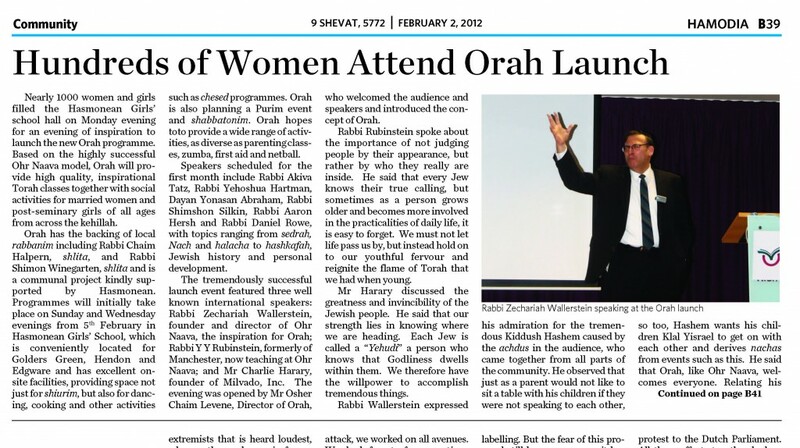 Inspired by the Ohr Naava programme in New York, Orah was launched in Northwest London in January 2012. 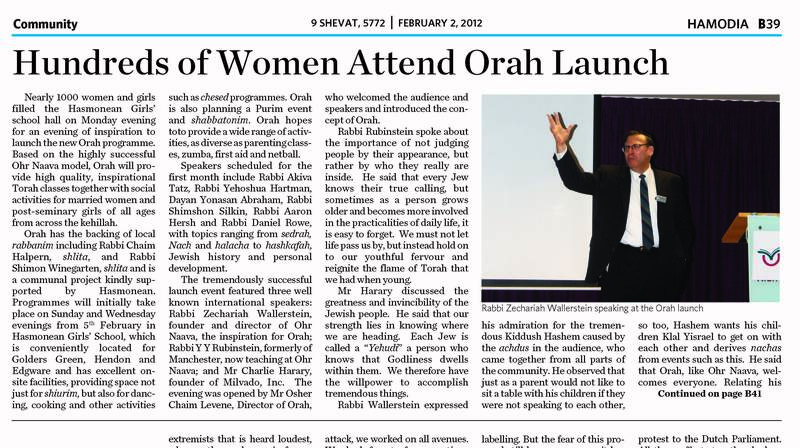 Orah was established as a community project with the support of Hasmonean High School to cater for women and post-seminary girls in the London Jewish community. The initiative that was warmly endorsed by local rabbonim. 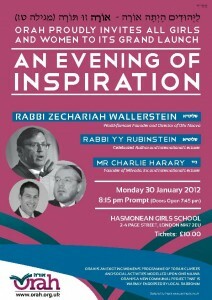 The inspirational launch on 30 Jaunary 2012 was an unforgettable evening to a jam-packed hall of ladies featuring three international guest speakers: Rabbi Zechariah Wallerstein, Rabbi YY Rubinstein and Mr Charlie Harary. 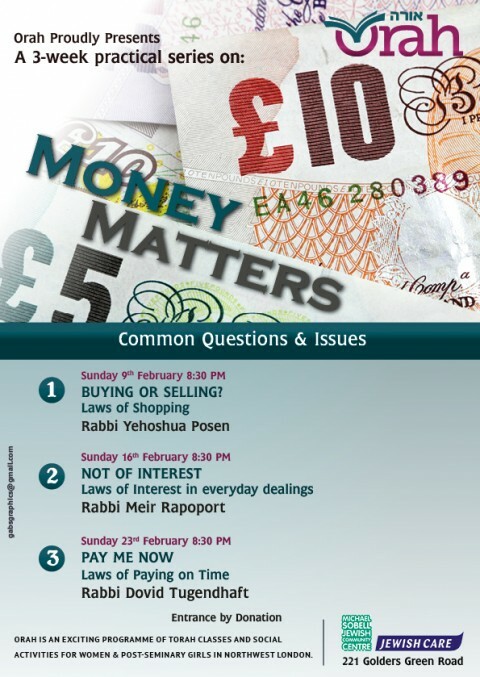 The evening was introduced by Osher Chaim Levene, Founder and Director of Orah, who launched a series of weekly shiurim given by a wide range of speakers covering a variety of topics. 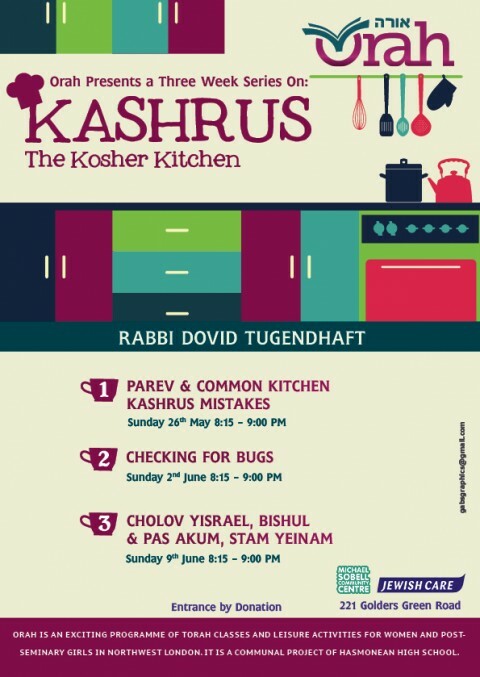 I really appreciate listening to the shiurim that I have missed on TorahAnytime. Wishing you much hatslocha with this amazing organisation. I would like to express my hakoras hatov on all your work - you are very professional and all is so nicely organised with nice middos.